Today, on the 13th of February, is World Radio Day. 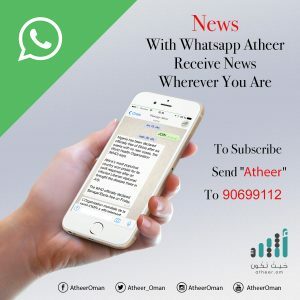 To mark this occassion Atheer took a look back at the history of radio in the Sultanate, by examining the book Huna Oman: The Creation and Development of Radio in the Sultanate of Oman 1970-1979, by Fatimah Al Lawati. In the 1950s a radio station was initially planned to be established in Muscat, however this project never saw light, with Al Hosn broadcast from Salalah as of the end of 1959. Talks between Oman and the British centered around the necessity of establishing a radio station in Muscat, with discussions being held over the finer details. In 1960, Sultan Said bin Taymour ordered the establishment of a radio station in the capital that would broadcast as far as 200 miles, for one hour per day. The BBC made proposals for programmes that could be broadcast on the radio from Muscat, suggesting that they bring in a radio director from another Arab country. The programmes proposed were to include the Holy Quran, news, historical programmes and government announcements. Music was to be excluded. There is no information available on whether there was a radio station in Muscat before 1970, as per the ideas proposed by the British. Radio later on became an important means by which to inform Omanis about the Sultan and his plans for the country. There was also a call for the Sultan to hold an informational talk about Oman’s development plans following the start of oil exports. The book went on to point out that the use of radio before 1970 was limited during the fifties to Muttrah. During these days there was a mobile radio in a Land Rover which was used to broadcast important alerts.